Visitors to this area in northeast Spain should also make a point of stopping off at the spectacular beaches of the Costa Dorada, Garraf, Maresme and Costa Brava, with such internationally renowned resorts as Salou, Sitges, Tossa de Mar, Cadaqués, Lloret de Mar and Roses. 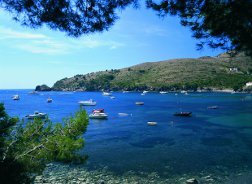 Catalonia also has numerous marine resorts which are ideal for indulging in a whole range of water activities. And if you love mountain scenery, what could be better than an excursion to the Catalan Pyrenees (featuring ski resorts which are tailor-made for snow tourism) or to the National Park of Aigüestortes y Estany de Sant Maurici?